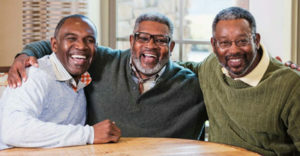 The initiative is called the RESPOND study – Research on Prostate Cancer in Men of African Ancestry: Defining the Roles of Genetics, Tumor Markers, and Social Stress. Over the next four years, 10,000 African American men with prostate cancer will be recruited from Cancer Registries in seven states – California, Florida, Georgia, Louisiana, Maryland, New Jersey, Texas and throughout the Detroit Metropolitan area in Michigan. “With one in five African American men developing prostate cancer in their lifetime, we hope this is an issue that resonates with the African American community and advocacy groups. With your help we can make a difference with research that will have life changing consequences for future generations of African American men,” she said.